For all your tire needs, you can trust the tire centre at Belleville Toyota. When you're in need of a trustworthy set of summer, winter or all-season tires, come to the tire centre at Belleville Toyota. Making sure you have the right tires for your vehicle is extremely important, which is why you can trust the tire centre at Belleville Toyota to always have your best interests at heart. 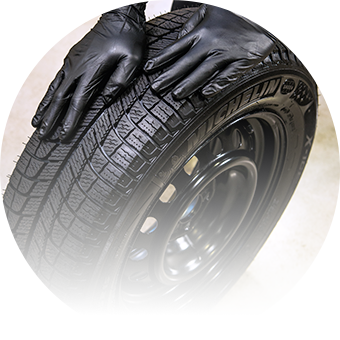 Our team of experienced advisors will be able to work with you and answer any questions that you might have when looking to purchase your next set of tires. We will also be able to install them so you can trust that they are installed correctly. We can also store your old tires while they're not being used. Come to Belleville Toyota today and visit our tire centre for all your tire needs. Inquire about our Road Hazard Protection!